Author Brian Ritt appeared this past Sunday, August 18th, at the Mystery and Imagination Bookshop in Glendale, CA. A number of people were there to listen to Brian's stories, some books were sold, and the launch was a success. First of all, I just saw where the legendary Elmore Leonard passed away after suffering a stroke three weeks ago. Many people considered his work as holding the bar high for other writers, and is one of the very few living authors whose work is featured in a Library of America edition (although, sadly, Leonard did not live to see its release). So take a moment, read a book, think of another great one lost. On to happier news, our own publisher, the notable Greg Shepard, has published a definitive piece on another late and lamented, though less well-known author Douglas Sanderson. 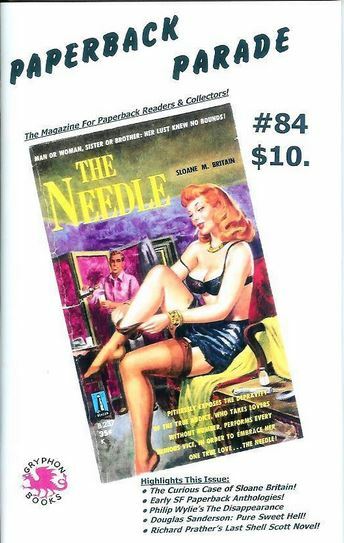 Under several pseudonyms, Sanderson was extremely popular in Europe and his native Canada and his story is told by Greg in an excellent piece appearing in Gary Lovisi's Paperback Parade, issue 84. Gary lost a lot of his stock in the aftermath of Hurricane Sandy but the current issue can be purchased at his eBay store here. Paperback Parade is a wonderful resource for both the casual fan and scholar of the paperback original novel. 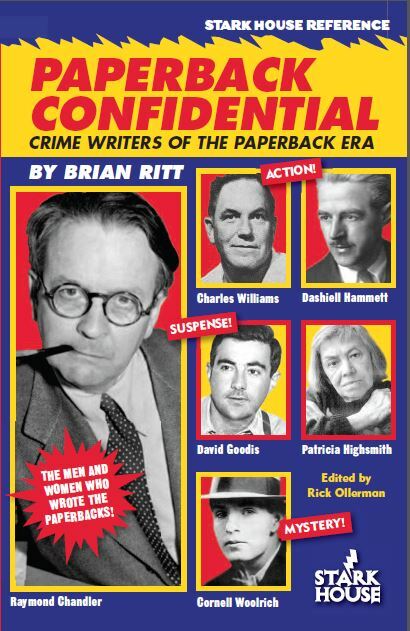 Paperback Confidential has sold out is first printing and is working on its second. 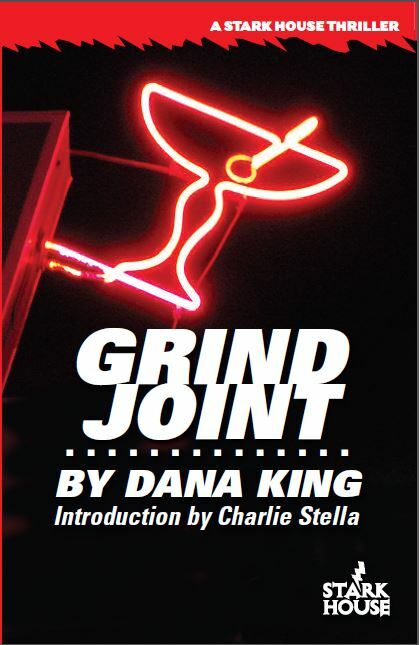 We want to thank Mike Chomko again for helping promote the book at PulpFest 2013. 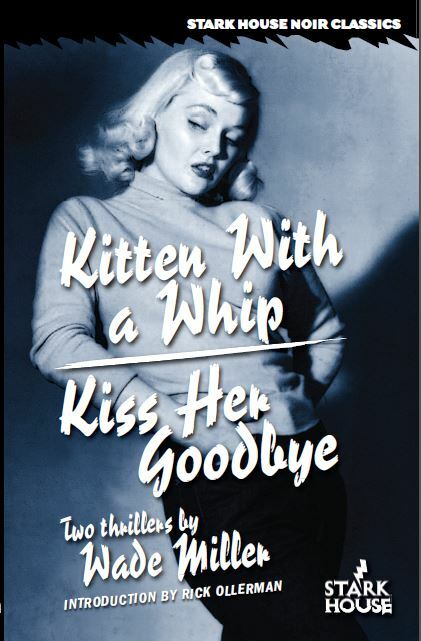 Our next book is another Wade Miller release, containing two of his/their fine novels, Kitten With a Whip / Kiss Her Goodbye, due for release in September. Wade Miller was really two lifelong friends, Bob Wade and Bill Miller. The introduction is an in-depth look at some of the trends in their work and they are truly one of the more reliable writers of the paperback original era. As lifelong friends, they wrote everything from articles, plays, stories, and even a screenplay. When they discovered Paramount's sets from the movie Beau Geste were still standing out there in the desert, they decided to film their own movie. Unfortunately, Paramount didn't take kindly to to this and compelled the duo to destroy all the prints of the film and it never saw any sort of release. Until now. 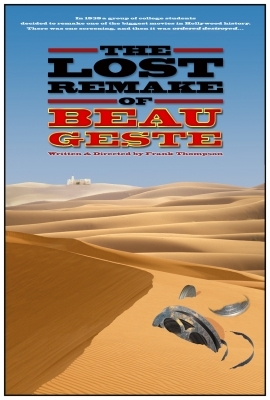 Television producer and documentarian Frank Thompson has produced a DVD called The Lost Remake of Beua Geste. It's not expensive and a boon to Wade Miller fans and scholars of film and history and popular culture. I'll review it in depth later, but for now, feel free to order your own copy first. Again, I'll force myself to stop here. It seems like there's always more to talk about, but also deadlines to meet. If you have any questions or comments, as always please be sure to drop us a line. And if you wish to get our latest releases still warm from the printer's presses, you can always sign up for our Crime Book Club and take advantage of discounts and deals on back list titles for new members.